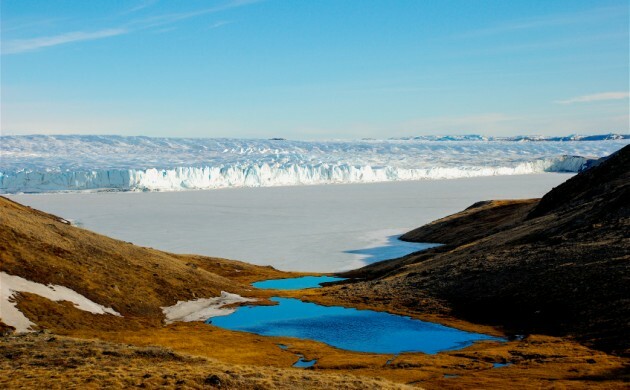 The remains of a stone hut discovered near the Sermeq Kangilleq Glacier in southern Greenland has stumped Danish archaeologists. Christian Koch Madsen, an archaeologist with the National Museum of Greenland and the National Museum of Denmark, found the remains while exploring on behalf of Greenland’s Energy Commission regarding a new water power plant in 2014. The stones turned out to be the top part of a small boat-formed hut, the like of which has never been seen before. The hut was located just a stone’s throw from the glacier in a very open and exposed area. The find has yet to be dated. Madsen speculated that the hut could have been part of a specialised production place, known as a ‘sæter’, which the Vikings used in Greenland – in this case probably for keeping animals in the summer. It is believed that the Vikings lived in Greenland until about 1450 and Madsen contends that they were very adept at utilising their natural surroundings. But what makes the find even more mysterious were the items found during the archaeological dig of the site. Madsen found walrus tusks, gaming pieces, reindeer antlers, a sheep’s tooth, a seal bone, a cow horn, a sheep horn, a comb, soap stone, the tip of an iron knife and part of a copper bucket. “It’s not normal to find these items in a sæter, where you usually milk, collect feed or undertake daily handiwork – this is something completely different,” said Madsen. The archaeologist’s best guess is that the hut could have been used by a Viking seer and medicine women, known as a ‘vølver’, which according to the Icelandic Sagas used a collection of items to practise their magic. Madsen expects to date the find over the course of the next couple of months.